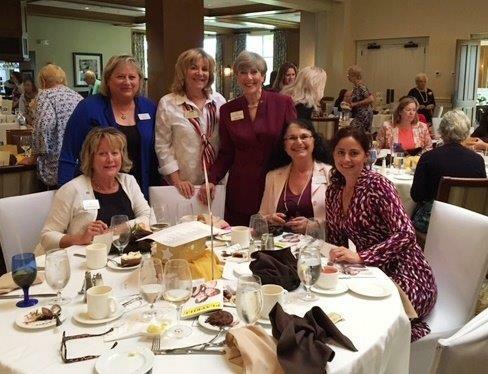 Sonas Home Health Care moderated the Alzheimer’s Community Care Treasure Coast Luncheon for an outstanding program on Wednesday, January 11, 2017, at Allegro in Stuart for the American Association of University Women. The talented and professional group included Deanna Casey, RN of Preferred Lifestyle Services, Nancy Franklin, LPN of Carter Health Care, Denise Dublin of Sonas Home Health Care and Susan Whittington, CRPC of Espinal, Stern & Whittington at Morgan Stanley. The event was moderated by Ellen Peitz, AAUW member. The talk began with a question: “Did you know there may be more people in nursing homes from failure to plan for independence than from illness?” The theme was, if you plan ahead, you and/or your loved ones can maintain dignity, quality of life, and independence as you age in your own home. 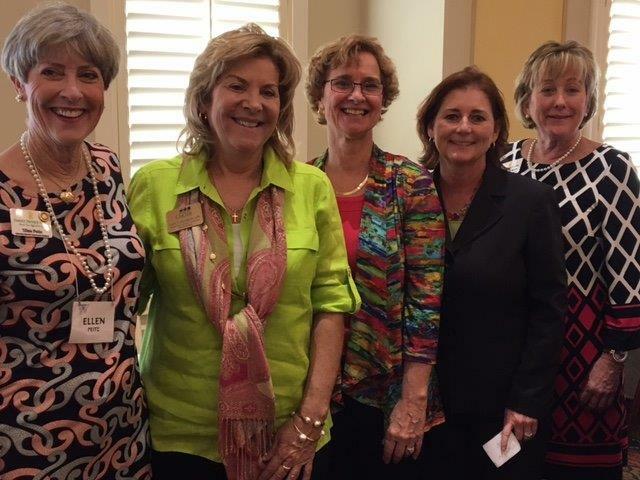 Left to Right Standing: Karen Ripper, RN – Chief Executive Officer for the Kane Center at the Council on Aging, Nancy Franklin — Carter Home Health Care, Ellen Peitz | Right to Left Sitting: Denise Dublin, Rose Schneider – Attorney at Law and Tiffany Weakley, MD. Regarding my health, what benefits am I “entitled” to through Medicare? What would additional services be available to me if I needed assistance to “age in place” in my own home? What cost is associated with this type of care? What steps do I need to take to safely remain in my home and protect my quality of life if I become ill? Have you identified someone you trust to respect your wishes and manage medical, legal, financial needs if you become ill? How do I know when it will be time to ask for help? Where can I turn or who can I call for help when the time comes? A lively discussion ensued and AAUW members left the meeting with lots to consider.